Music business specialty finance firm Sound Royalties today announced that industry expert Kevin Day has joined the company as Vice President of Business Development. Day brings more than two decades of specialized experience to the Sound Royalties team, and will be responsible for developing high-level partnerships with key influencers in the music community. Kevin will be a great addition to the team and develop long-lasting partnerships that will enable Sound Royalties to help even more music professionals advance in their careers. Sound Royalties, LLC, a specialty finance firm dedicated to transforming the way music professionals fund their creativity, today announced that music industry veteran Kevin Day has joined its growing team as Vice President of Business Development. Day will establish high-level strategic partnerships with key influencers within the music community, including music labels, distributors and management firms. 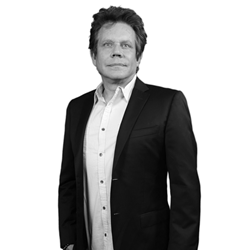 Bringing more than two decades of experience in the music business to Sound Royalties, Day previously founded and served as President of Skyrocket Entertainment, an award-winning music distribution company, formally known as Rocket Science. Similar to Sound Royalties’ artist-friendly model, Rocket Science provided well-known artists, managers and record labels with turnkey solutions to independently release their works into the marketplace. For 13 years, he led the company’s work, including consulting services, marketing, strategic planning, business development, funding and more, building it into one of the industry’s most respected firms. Previously, Day spent a combined 12+ years as a Sales & Marketing Executive at Universal Music, MCA Records, and Geffen Records. Throughout his career, he has worked with a wide variety of award-winning artists including KISS, Mary J. Blige, Shaggy, blink-182, The Roots, Gladys Knight, B.B. King, Dolly Parton, Common and many more. Day is a self-taught musician that holds a deep personal passion for music, which drives his work in the industry. He is also a professor at the Los Angeles College of Music, and a member of the school’s advisory board, where he lends his top executive-level expertise and advice. To learn more about Sound Royalties, its growing team, and its innovative solutions to help music professionals fund their dreams, please visit: http://soundroyalties.com/. Founded by CEO Alex Heiche, Sound Royalties, LLC is a privately-owned specialty finance firm that helps music industry professionals fund personal and professional projects while allowing them to retain the rights to their music and royalties. The company’s core business is offering royalty advances of anywhere from $5,000 to $10 million, without having to deal with credit issues, while preserving all rights to the artist’s music. It does this by advancing artist performance royalties paid through music labels and Sound Exchange, songwriter royalties paid through music publishers and Performing Rights Organizations such as ASCAP, BMI and SESAC, and music streaming royalties from Spotify, Apple Music and YouTube. To date, Sound Royalties, LLC has worked with a wide range of leading music industry professionals, including Grammy Award winners, platinum recording artists and notable music industry executives in every genre. Learn more at http://www.soundroyalties.com.